Photo courtesy of Centenary University. At the barn, attendees will learn additional horsemanship skills with Centenary students and faculty. Topics will include basic care such as grooming, wrapping, points of the horse, and parts of the saddle and bridle and more. To learn more about the CPI, visit collegeprepinvitational.com. Photo by Andrew Ryback Photography. The CPI Penultimate High-Point Challenge winner will receive a $1,500 scholarship from the CPI Scholarship and Educational Fund. Riders in grades 8-12 are eligible and the award must be claimed within five years of graduation from high school. The award will be paid directly to the winner’s college, university, trade, or vocational school. Upon enrollment to a post-secondary educational school, a written request from the award winner must be made for payment to the designated school. For more information, go to collegeprepinvitational.com. CPI Horse Athlete category winner – Katherine Martin. Wellington, FL – March 3, 2013 – Five talented participants of the 2013 College Preparatory Invitational (CPI) were recognized for their entries to the CPI Journalistic Photography contest. Katherine Martin, Margaret Bresee, Talula Alascio, Kendall Clarkson, and Kate Eagleton were awarded $100 in scholarship money per winning entry along with a Dover Saddlery gift certificate, and will each see their winning photographs published in the 2014 College Preparatory Invitational (CPI) Program. Scholarship prize money was increased this year thanks to the generosity of annual sponsor Charles Owen. Entrants submitted photographs, taken over the three days of the 2013 CPI, in eight categories: CPI Horse Athlete, CPI Sponsor, CPI Spectators, CPI Event Seminar, CPI Riders, Friends (candid), CPI Riders in Action, and Miscellaneous. All entrants were participants in the 2013 CPI. In addition to announcing the 2013 contest winners, the CPI also recognized its top performing equine athletes. Bella, owned by Kelly Goodman, was the Best Performance Dressage Horse recipient and Leo, owned by Michelle Alvarez of Act 2 Acres Farm, was awarded Best Performance Hunt Seat Horse honors. Both horses received coolers donated by The Clothes Horse for their exceptional performance during the CPI. Katherine Martin, class of 2014 of El Paso, TX, won both the CPI Horse Athlete and CPI Event Seminar categories of the photo contest. Martin captured presenter Pierre Jolicoeur’s animated discussion of how to ride a course and enjoyed his thorough and educational play-by-play of the best way to approach foreign courses. Martin also snapped a winning image of Bella, this year’s top performing dressage horse. Martin plans to pursue a career in photography and communications and was excited to further develop connections she made last year at the 2012 CPI. “When I came back this year, the trainers and colleges were excited to see me back. Figuring out which colleges have the best communications programs as well as great riding programs is very important to me, and the trainers [at CPI] were able to help me out,” Martin stated. “I was also able to really experience what it will be like in college equestrian competitions. It opened my eyes to a different showing experience, which I think every rider needs,” Martin continued. Talula Alascio, class of 2014 of Annapolis, MD, came in first place in the CPI Spectator and CPI Rider categories. Alascio captured one rider’s joy after receiving a blue ribbon. “It was a really big deal to her to win. It was one of the few shows that her mom had been able to attend and she was really happy about winning,” Alascio described. Photography has been a hobby of Alascio’s that developed from classes she takes at school. “I was so happy to win two categories. I didn’t expect to win at all! I was so excited,” Alascio smiled. 2013 was Alascio’s first year at the CPI and the junior in high school welcomed the learning experience. “I’m starting to look into equine studies programs. The coaches and schools I spoke with at the College Expo gave me lots of information and told me what I would need to know and how to decide what things I can go into with horses,” Alascio commented. Alascio was more than satisfied with her overall experience with CPI after a successful day of riding and learning. “I met some really neat people and it was nice to get a feel for what college I want to attend and what the riding program would be like. I did well showing too and it was just a really fun experience!” Alascio concluded. Kendall Clarkson, class of 2015 of San Diego, CA, earned first place in the Friends category after capturing several of her friends enjoying the competition at the CPI. “Photography is something I’ve done as a hobby, just for fun. When I heard about the scholarship program, I thought ‘Why not? !’” Clarkson commented. “I looked at the other winning pictures and it made me so grateful to win because there were a lot of other great photographers,” she continued. Clarkson enjoyed her first year of the CPI, which provided her plenty of food for thought on her future in equestrian competition as well as her education. Clarkson attended the College Expo, where she had the chance to talk to coaches and explore her equine higher education options. “I want to do something with horses, but I want to make sure it’s something I can support myself with. [An equine studies program] is something I’m looking into. It would be an added bonus to be able to ride in college as well,” Clarkson stated. Kate Eagleton, class of 2015 of Miami, FL, was awarded first place in the CPI Rider in Action category with her photo “Rain or Shine.” Eagleton had planned on taking pictures throughout the day, but due to inclement weather, kept her camera tucked away. She quickly snapped just five pictures while trying to stay dry after showing―one of them turned out to be her winning shot. Eagleton is another first-year participant, and was eager to soak up the incredible experience offered to aspiring collegiate riders at the CPI. “It’s so cool to be in an atmosphere with all the college riding teams, meet coaches, and experience what [collegiate competition] would actually be like,” Eagleton stated. “I definitely want to do equine studies or equine business management. The CPI helped me learn about a lot of new colleges that I’ve never heard of and it was great to talk to coaches as well,” Eagleton concluded. Meggie Bresee, class of 2014 of San Diego, CA, topped the CPI Sponsor category as well as the Miscellaneous category. Honorable mention photographer Caroline Johnson, class of 2013 of Julian, NC, will receive a $50 gift certificate to Dover Saddlery. The College Preparatory Invitational Scholarship Fund would like to congratulate these winners and thank everyone for participating! The mission of the CPI is to prepare and educate student riders in grades 8-12 about the format of college equestrian competition, encourage academics and horsemanship, and to provide the riders with resources to create their desired college equestrian experience. The show is specifically geared to promote college recruitment of equestrians by providing the opportunity for coaches and potential students to meet in person. The College Preparatory Invitational Horse Show is rooted in the belief that equestrian talent, not finances, should dictate a rider’s opportunity to be a part of a collegiate team. Along with the competition, the CPI offers seminars and question & answer sessions during the show. Riders and their families heard about the college equestrian experience and familiarized themselves with the different associations that govern collegiate riding. There were also a number or College and Universities present at the CPI to distribute literature and introduce the academic and riding opportunities, including scholarships, offered at their respective institutions. For more information, please visit www.CollegePrepInvitational.com or visit their Facebook page. Laura Cardon for Jennifer Wood Media, Inc.
Showcase Your Sale Horse by Donating to the College Preparatory Invitational! 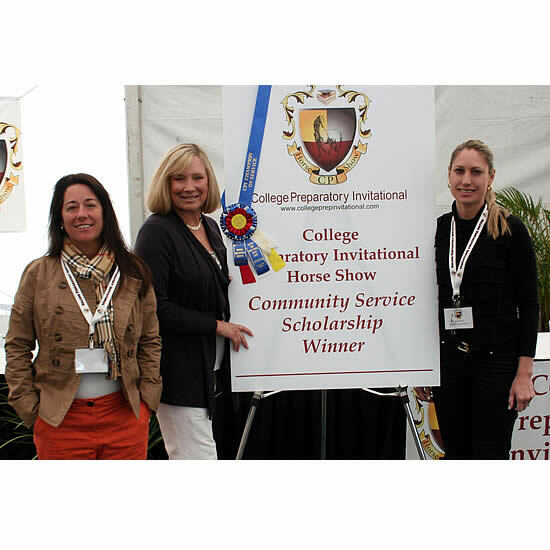 Wellington, FL – December 31, 2012 – The College Preparatory Invitational Horse Show (CPI) will hold its third annual competition on January 18-20, 2013, at the Palm Beach International Equestrian Center in Wellington, FL. Welcoming more than 180 college-bound hunt seat equitation and dressage riders at the nation’s premiere College Equestrian Recruiting event, the 2013 CPI offers grades 8-12 participants comprehensive education and insight to future equestrian collegiate competition, horsemanship skills, and the ability to be recruited by the nation’s top colleges and universities offering equestrian competition programs. To fulfill the dreams of the students, CPI is reaching out to the Wellington, FL, equestrian community for barns and/or individuals willing to donate horses that will help college-bound riders showcase their horsemanship and riding talents to top recruiters while trying to earn equestrian scholarships. If your horse is available for lease and/or for sale, the 2013 CPI is the perfect venue to showcase its talent and skills to over 180 participants, trainers, coaches and spectators. All horses loaned to the CPI will be featured in The CPI Horse View Book, a horse preview book complete with pictures of each horse, descriptions and information on sales and/or leasing opportunities. WESTPORT, CT – January 25, 2012 – The EQUUS Foundation has partnered with the College Preparatory Invitational (CPI) Horse Show Scholarship Fund to establish a scholarship open to the participants at the College Preparatory Invitational Horse Show, held January 13-15, 2012, at the Palm Beach International Equestrian Center in Wellington, Florida. The mission of the CPI is to prepare and educate student riders in grades 8 – 12 about the format of college equestrian competition, encourage academics and horsemanship, and to provide the riders with resources to create their desired college equestrian experience. All the horses and necessary tack for the show are provided by CPI. The show is specifically geared to promote college recruitment of equestrians by providing the opportunity for coaches and potential students to meet. Wellington, FL – January 16, 2012 – World-class equestrian, founder and president of EquestrianCoach.com, Bernie Traurig, judged the hunt seat divisions of the College Preparatory Invitational (CPI) along with Scott Hofstetter, Nona Garson and Linda Andrisani. Robert Dover judged the dressage competition, a new addition to the event in its second year. The CPI was held at the Palm Beach International Equestrian Center in Wellington, FL with the mounted competition on an uncharacteristically cool Saturday. The goal of the CPI is to prepare junior high and high school riders for the format of college equestrian competition, encourage academics and horsemanship and to provide riders with the resources to continue equestrian learning during college. “I really like the format of this show and collegiate competition in general. It gives young people a new opportunity after their junior years,” said Traurig. Wellington, FL – January 13, 2012 – Olympic Silver Medalist Peter Leone will join Kimberly S. Jaussi, Ph.D., at a workshop, “Leadership, Vision and the Equestrian Athlete”, to share his experiences, answer questions and offer advice. The workshop will be held during the College Preparatory Invitational (CPI) in the Special Events Pavilion at the Palm Beach Equestrian Center at 11:00 am on Saturday, January 14, 2012. After the workshop Leone will autograph his DVD, Ride the Body: Select Insights of Peter Leone, that he produced along with Jaussi. The informative and practical DVD will be awarded to all the first place winners at the CPI. A drawing will be held during the workshop for additional DVD prizes. 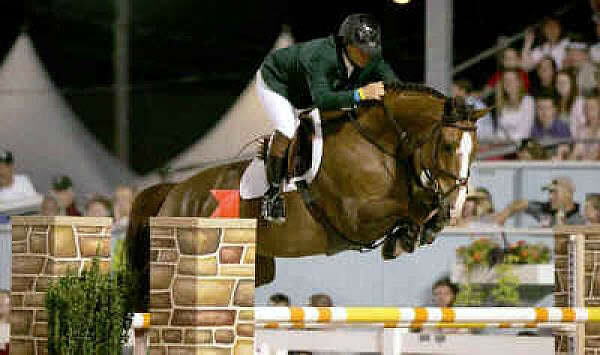 Leone and Jaussi also co-authored the upcoming book, Peter Leone’s Show Jumping Clinic: Success Strategies for Equestrian Athletes (Storey Publishing), which will hit the shelves in spring of 2012. 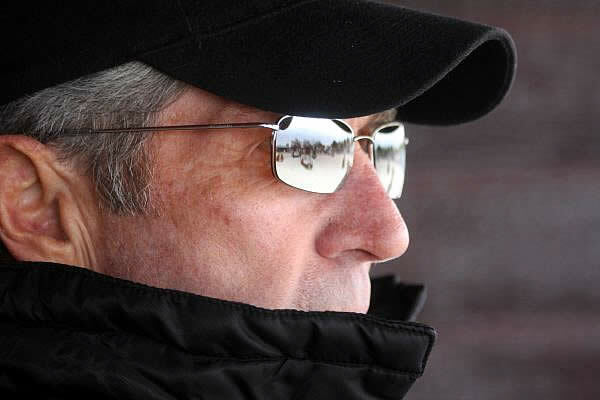 Wellington, FL – January 12, 2012 – The legendary Bernie Traurig will speak at the College Preparatory Invitational (CPI) to present his educational online program: EquestrianCoach.com. The presentation will be held in the Special Events Pavilion at the Palm Beach International Equestrian Center at 5:00 pm on Saturday, January 14, 2012. EquestrianCoach.com is offering a special rate for colleges, universities, schools and youth organizations that provide riding programs or equine degree programs. 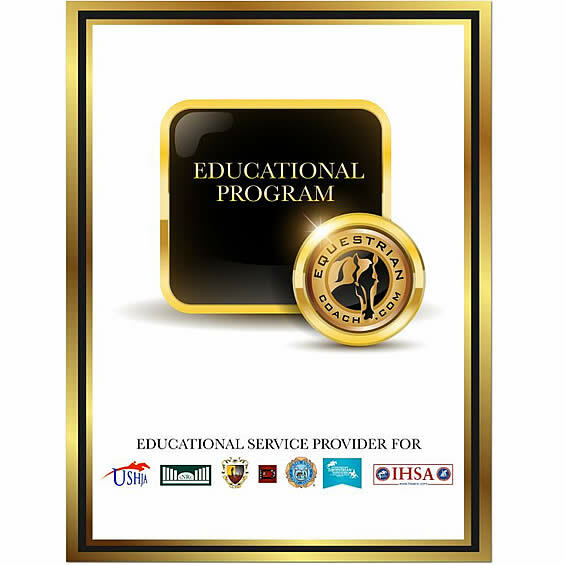 Participating programs will earn free subscriptions for coaches to use as curriculum. 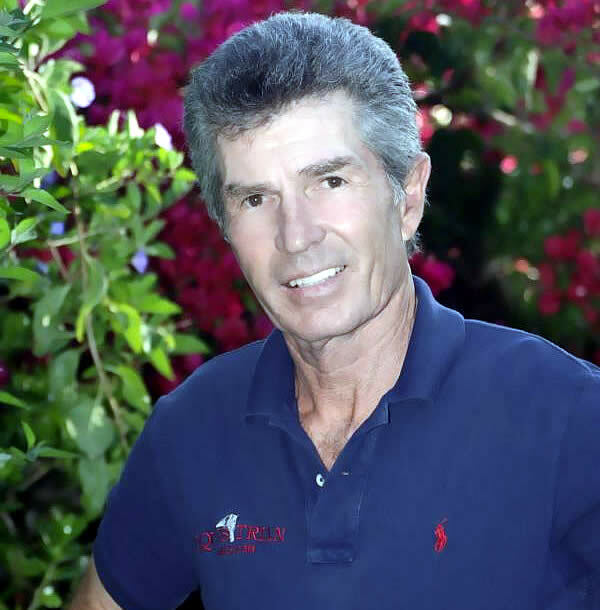 Wellington, FL – January 5, 2012 – The legendary rider, trainer, founder and president of Equestrian.Coach.com, Bernie Traurig, is slated to judge the College Preparatory Invitational (CPI) at the Palm Beach International Equestrian Center in Wellington, FL. The event runs from January 13th through the 15th. “I am honored to be asked to judge this event and look forward to it. I was so impressed with the quality of riding at this spring’s IHSA Nationals and am anticipating much of the same here,” shared Traurig. In its second year, the CPI provides college-bound high school students an opportunity to compete in a format similar to the Intercollegiate Horse Shows Association (IHSA) while experiencing a world-class venue. The organizers of the CPI believe that equestrian talent, not finances, should dictate a rider’s opportunity to be a part of a collegiate team. The CPI provides the horses and tack for the show. Competitors incur no cost of transporting horses to the show. CPI riders compete on a level playing field aboard unknown horses before an audience of prospective equestrian collegiate coaches. Wellington, FL – December 22, 2011 – The College Preparatory Invitational (CPI) will be a feature event on January 13-15 during the FTI Consulting Winter Equestrian Festival at the Palm Beach International Equestrian Center. The second annual CPI Horse Show will be larger, allowing more riders to compete, and will include dressage classes and more educational opportunities for participants. Equestrian Sport Productions is proud to be a sponsor of the College Preparatory Invitational and looks forward to welcoming new and returning riders to this year’s event. In addition to increasing the number of riders accepted at the CPI, organizers are also pleased to announce that the number of scholarships for the 2012 horse show has increased. A total of five scholarships will be awarded this year, rewarding the young riders on their social conduct and academic success, as well as competitive success. In total, there will be five scholarships awarded to eligible CPI participants, including: CPI Horsemanship Test Award, CPI High Point Hunt Seat Equitation Rider, CPI Essay Contest, CPI Champion of Service Award, and CPI High Point Dressage Rider.